Designed by Dutch architect, Piet Boon, The Oosten establishes a new precedent of luxury living along South Williamsburg’s waterfront. 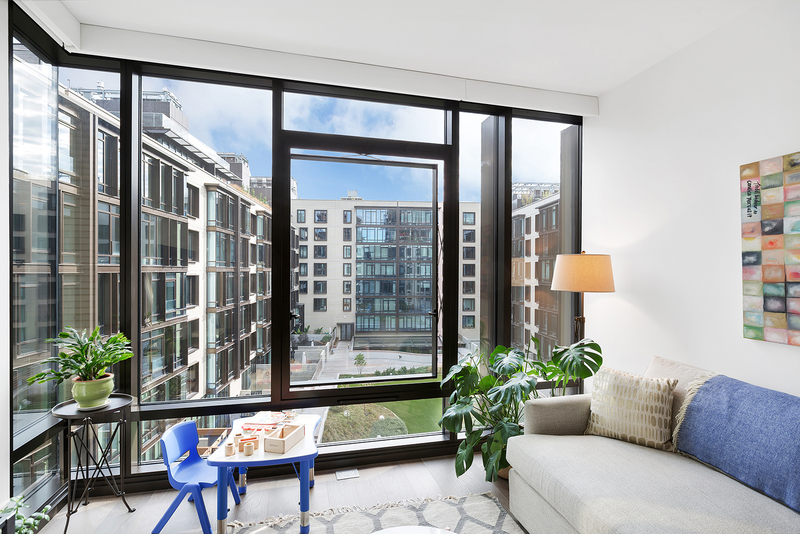 Just shy of 1,100 square feet, residence 635 is a thoughtfully designed split 2-bedroom, 2-bathroom home featuring stunning 6-inch white oak flooring, 10-foot ceiling heights and incredible eastern sunlight. Feel a sense of arrival when you enter the home through a long entry foyer flanked by custom fitted closets and an oversized full bathroom. The open living and dining room are wrapped with floor-to-ceiling casement style glass windows overlooking a surreal courtyard with gorgeous green hills and tons of blue sky. The kitchen is charming, functional, beautifully finished and creatively customized; it is truly a cook’s kitchen outside of what is typically seen in New York City condominiums. The master bedroom provides plenty of room to fit a king-sized bed and comes finished with custom millwork within an oversized walk-in closet and dressing area. The spa-like master bathroom is outfitted with Kohler hardware, beautiful stone tile and tons of storage. The second bedroom, large and filled with light, has endless space and ample closets. Additional features include a long list of owner upgrades including motorized Lutron shades in every room, custom hardwired light sconces for pendants and sconces, dimmers throughout and central A/C. 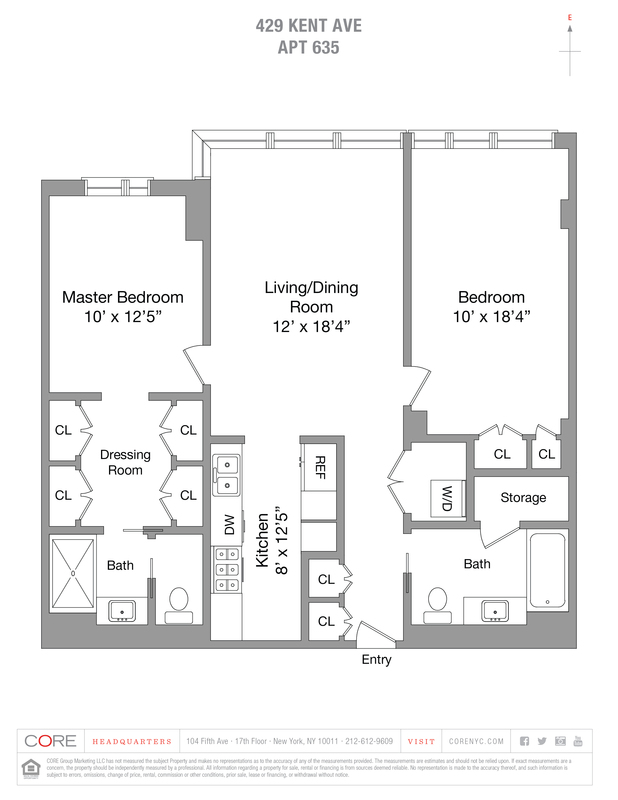 635 also has a laundry room with additional storage for larger, bulkier items such as luggage and cleaning supplies.